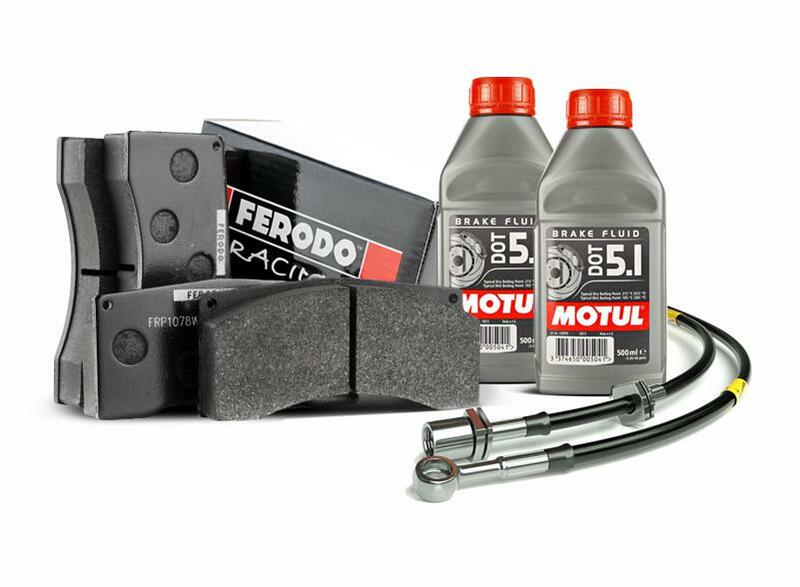 Package of brake pads, brake lines, and brake fluid. 100% synthetic brake fluid on polyglycol basis for all types of hydraulic actuated brake and clutch systems in accordance with DOT 5.1, DOT 4 and DOT 3 manufacturers’ recommendations. Specially designed for anti-locking brake system (ABS). Dry boiling point 270 °C / 518 °F. Wet boiling point 185 °C / 365 °F. Standards: FMVSS 116 DOT 5.1 NON SILICONE BASE & DOT 4 & DOT 3; SAE J 1703.